Henry Elzie HOLLINGSWORTH [Parents] was born on 14 Jan 1900 in Indian Territory, Fitzhugh, Pontotoc, Oklahoma. He died on 10 Feb 1970 in Oklahoma City, Oklahoma, Oklahoma. He was buried on 12 Feb 1970 in Rest Haven Cemetery, Oklahoma City, Oklahoma, Oklahoma. Henry married #1 Lillie. #1 Lillie was born in 1902 in Okemah, Okfuskee, Oklahoma. #1 married Henry Elzie HOLLINGSWORTH. HOLLINGSWORTH was born about 1920 in , , Oklahoma. Henry Elzie HOLLINGSWORTH [Parents] was born on 14 Jan 1900 in Indian Territory, Fitzhugh, Pontotoc, Oklahoma. He died on 10 Feb 1970 in Oklahoma City, Oklahoma, Oklahoma. He was buried on 12 Feb 1970 in Rest Haven Cemetery, Oklahoma City, Oklahoma, Oklahoma. Henry married Suzie Mae HALL about 1932. Suzie Mae HALL [Parents] was born on 27 Jul 1914 in Valliant, McClain, Oklahoma. She died on 24 Oct 1988 in Moore, Cleveland, Oklahoma. She was buried on 26 Oct 1988 in Rest Haven Cemetery, Oklahoma City, Oklahoma. Suzie married Henry Elzie HOLLINGSWORTH about 1932. F ii Wanda Joyce HOLLINGSWORTH was born on 2 Aug 1933. She died on 28 Mar 2005. M iii Samuel Eugene Lesley "Buck" HOLLINGSWORTH was born on 5 Oct 1936. He died on 9 Jul 1985. F iv Elsie Sue HOLLINGSWORTH was born on 6 May 1942. Jasper Newton "Jeff" BAYSINGER "Sr" was born on 28 Sep 1883 in Hartford, Lyon, Kansas. He died on 2 Mar 1981 in Downey, Los Angeles, California. Jasper married Nettie May PAUL on 22 Dec 1914 in Topeka, Shawnee, Kansas. Nettie May PAUL [Parents] was born on 6 Feb 1897 in Indian Territory, Keokuk Falls, Pottawatomie, Oklahoma. She died on 2 Feb 1957 in Whittier, Los Angeles, California. Nettie married Jasper Newton "Jeff" BAYSINGER "Sr" on 22 Dec 1914 in Topeka, Shawnee, Kansas. Walter Paul BAYSINGER was born on 9 Oct 1915 in Topeka, Shawnee, Kansas. He died on 24 Jun 1985 in Long Beach, Los Angeles, California. Leroy BAYSINGER was born on 18 Dec 1916 in Topeka, Shawnee, Kansas. He died on 13 Dec 1917 in Topeka, Shawnee, Kansas. Hazel Emily BAYSINGER was born on 20 Aug 1918 in , , California. She died on 3 Jan 1970 in Napa, Napa, California. Jasper Newton BAYSINGER "Jr" was born on 14 Jul 1920 in , Los Angeles, California. Clarence Vernon ROUSE was born on 8 Feb 1906 in , Garland, Arkansas. He died on 26 Apr 1969 in Stratford, Garvin, Oklahoma. He was buried in Memorial Park Cemetery, Ada, Pontotoc, Oklahoma. Clarence married Amy L. ELLIS. Amy L. ELLIS [Parents] was born in 1907 in , , Oklahoma. She was buried in Memorial Park Cemetery, Ada, Pontotoc, Oklahoma. Amy married Clarence Vernon ROUSE. Loretta ROUSE was born about 1925 in , , Oklahoma. VAN METER. VAN METER married Amy L. ELLIS. Amy L. ELLIS [Parents] was born in 1907 in , , Oklahoma. She was buried in Memorial Park Cemetery, Ada, Pontotoc, Oklahoma. Amy married VAN METER. Overton Homer CATON was born on 2 Jul 1917 in Stigler, Haskell, Oklahoma. He died on 3 Jun 1958 in , Moore, Texas. Overton married Vera E. ELLIS. Vera E. ELLIS [Parents] was born on 4 Dec 1915 in Fort Sumner, De Baca, New Mexico. She died on 22 Dec 1977 in El Paso, El Paso, Texas. Vera married Overton Homer CATON. Jack Ellis "Jackie" CATON was born on 25 Feb 1955 in , Moore, Texas. Claude COOK died on 7 Jun 1978. Claude married Sadie HOLLINGSWORTH on 30 May 1943. Sadie HOLLINGSWORTH [Parents] was born on 30 Sep 1912 in Ada, Pontotoc, Oklahoma. 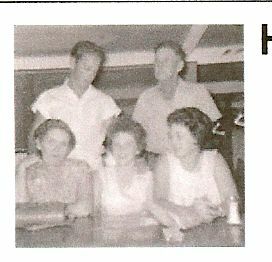 Sadie married Claude COOK on 30 May 1943. Joe MOBLEY. Joe married Lena Gertrude "Gertie" HOLLINGSWORTH. 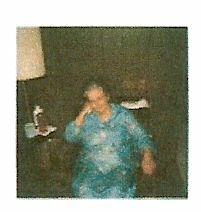 Lena Gertrude "Gertie" HOLLINGSWORTH [Parents] was born on 18 Jul 1915 in Ada, Pontotoc, Oklahoma. Lena married Joe MOBLEY. Jimmy Don MOBLEY was born on 10 Feb 1933 in Maysville, Garvin, Oklahoma. Kenneth Eugene MOBLEY was born on 28 Aug 1935 in , Garvin, Oklahoma. He died on 13 Apr 1988 in Minniville, , Oregon. Millard Robert MOBLEY was born on 22 May 1937 in Ada, Pontotoc, Oklahoma. He died on 4 Aug 1937 in Died Young. Yetsie DURSMA. Yetsie married Lena Gertrude "Gertie" HOLLINGSWORTH. Lena Gertrude "Gertie" HOLLINGSWORTH [Parents] was born on 18 Jul 1915 in Ada, Pontotoc, Oklahoma. Lena married Yetsie DURSMA. Henry DENSON was born in Ada, Pontotoc, Oklahoma. Henry married Agnes HOLLINGSWORTH. Agnes HOLLINGSWORTH [Parents] was born on 29 Aug 1921 in Okemah, Okfuskee, Oklahoma. She died on 14 Nov 1984. Agnes married Henry DENSON. Robert DENSON was born in 1939.